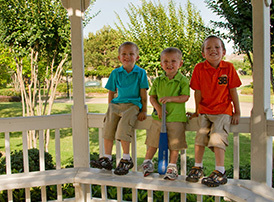 Falls at Green Meadows offers new homes for sale at the former location of the Green Meadows Golf Course in Katy, TX. 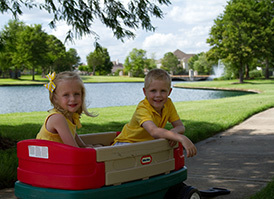 Developed by Friendswood Development Company, builders have furnished model homes now open daily in the community. 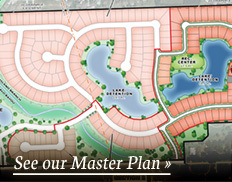 The community covers about 242 acres, some of which includes the former golf course. 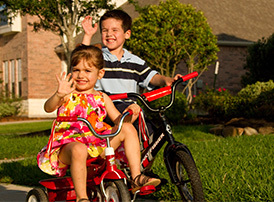 Located in the heart of Katy at Avenue D and Franz Road, Falls at Green Meadows will be home to 460 families at completion. 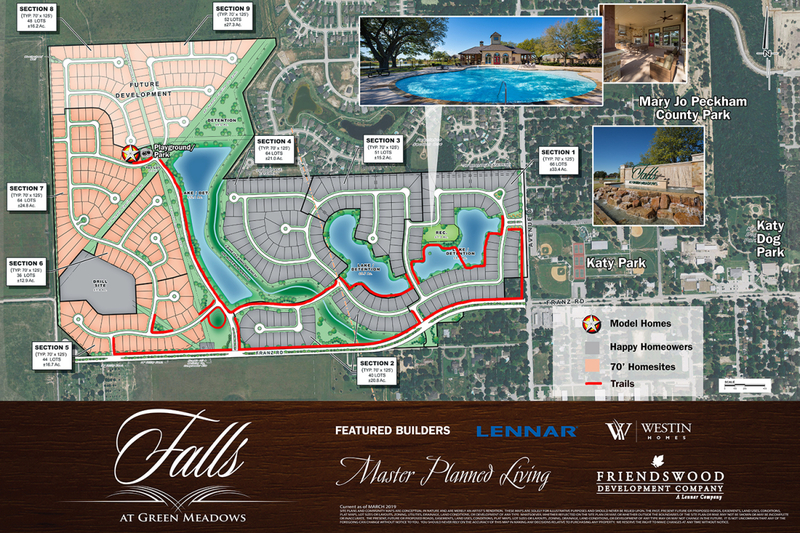 Falls at Green Meadows has earned the Quality Planned Development designation.